You don’t need a Sci-Fi-worthy gadget to be a time traveler. In fact, one of the best ways to explore four centuries of Virginia history is by taking to foot and walking in the footsteps of those who made it. There is something for every kind of history lover, whether it’s exploring one of Virginia’s numerous Civil War battlefields, walking the field at Yorktown where Cornwallis surrendered to George Washington’s Continental Army, meandering through the churchyards and gravesites around Virginia’s many historic churches, or strolling the grounds, gardens, outbuildings and forests surrounding the homes of Virginia’s eight presidents. Here are five distinctive Virginia walking tours that will provide a full sense of the arch of the state’s history, from its role as the birthplace of American democracy to the birthplace of civil rights. Step back 400 years by exploring the site of the first permanent English settlement in America at Historic Jamestowne and the Jamestown Settlement, and learn where three cultures – Native American, African and European – collided to change the course of human history. The living history museum offers an interpretation of the original fortified village erected on a small island just upstream from the mouth of the James River. Stroll the grounds and visit the rebuilt church attached to the original church tower, the site where the first democratically elected legislative body in the New World first met in 1619. Board replicas of three ships that brought colonists from England and marvel that the brave men and women made the treacherous ocean voyages in such small vessels in hopes of making a new beginning in an unchartered wilderness. Watch historically-clad interpreters demonstrate various aspects of 17th-century life – both in the settlement where colonists adapted skills they brought from the Old World and at the re-created Powhatan Indian Village that predated the arrival of the English by at least 100 years. It’s impossible to accurately declare the points in time that the great nations of the Old World emerged. Walking the Jamestown site with this thought in mind, it’s hard not to be struck by the profound truth that the world’s most powerful nation sprung directly from this inauspicious beginning. 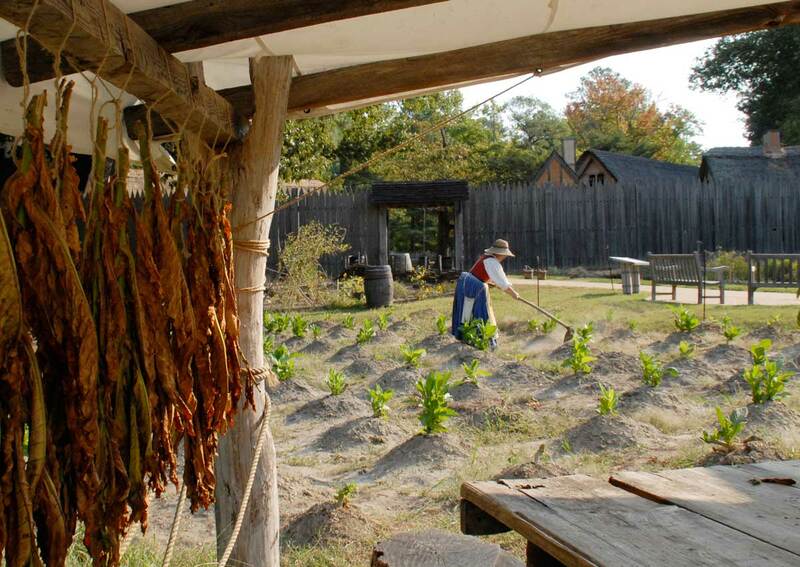 As early immigrants quickly embraced growing tobacco as a cash crop, Virginia’s culture was largely defined as rural and agricultural – an important heritage that still marks its lifestyle and breathtaking countryside. So it’s easy to forget that just prior to the Revolution Virginia was the most populous English colony and Williamsburg, as the capital, was the epicenter of Virginia culture and political activity. By 18th-century American standards, the city was cultured and urban. While places like George Washington’s Mount Vernon, Thomas Jefferson’s Monticello, James Madison’s Montpelier, George Mason’s Gunston Hall and Patrick Henry’s Scotchtown served as the country seats of Founding Fathers who hailed from Virginia, Williamsburg launched their political careers and fanned the early fires of independence. Dominated by the imposing Georgian Governor’s Palace, Williamsburg also served as an intellectual center for many of Virginia’s Founding Fathers. Established in 1693 as America’s second oldest college, the College of William & Mary educated many influential Virginians. The modest George Wythe, considered one of the greatest legal minds of the era, greatly formed the thinking of those who shaped the nascent republic, including Thomas Jefferson, James Munroe, St. George Tucker, John Marshall and Henry Clay. In addition to offering tuition, he entertained and mentored these future world-shakers at his house in town. 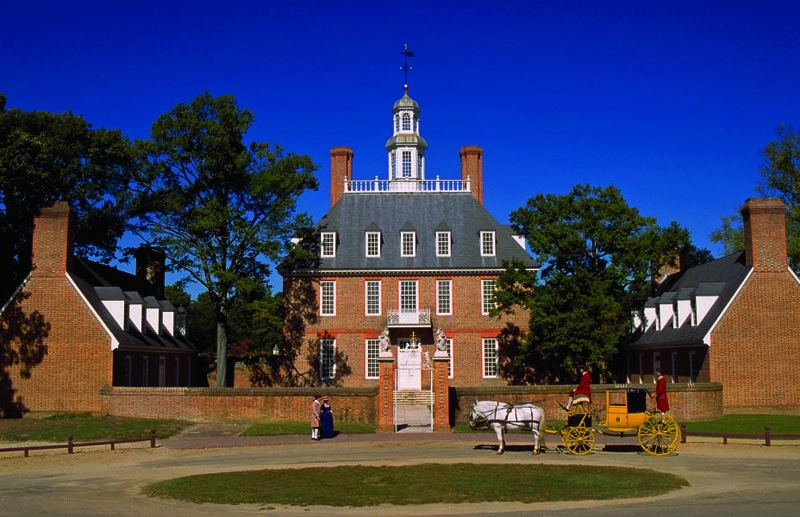 Walking the streets of Colonial Williamsburg, with its costumed interpreters and numerous period shops, will leave you with an abiding sense of how this remarkable city helped form the minds of those who built the world’s first constitutional republic. The juncture where Shenandoah National Park and Skyline Drive intersects with the Appalachian Trail marks an important point in opening frontier land to European settlement. Although early settlers were aware of the great mountain range to the west, they viewed it as a hostile, mysterious place. By the 18th century the colony needed to settle western lands to accommodate population growth. In 1716 Royal Governor Alexander Spotswood devised a plan to encourage exploration of the far side of the Blue Ridge. On August 29, 1716, the company of 50 men and 74 horses struck out from Germanna, a piedmont village in present-day Orange County, within sight of the distant Blue Ridge. 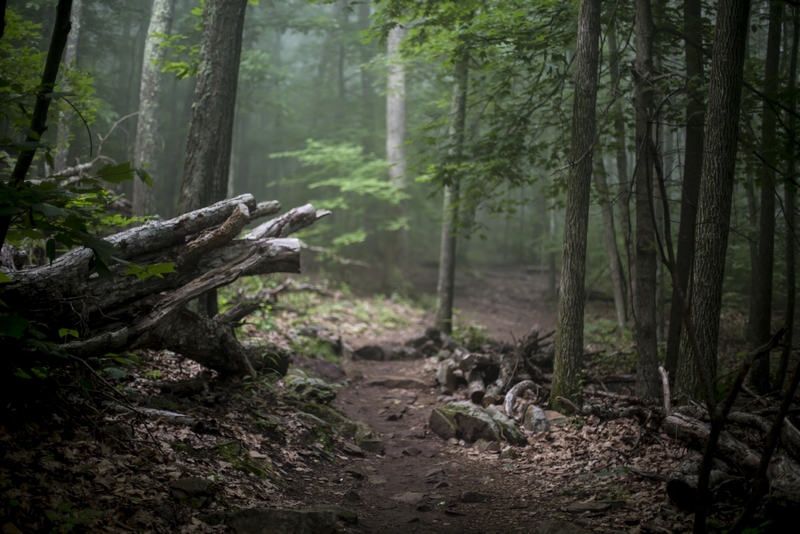 The wilderness was so dense that at times the men had to clear a path with axes to make progress, but by September 5 the adventurers reached Swift Run Gap, where they officially crested the Blue Ridge. At more than 2,600 feet, the gap afforded a sweeping view of the lands to the west. The next morning, on the bank of the south fork of the Shenandoah River, the company fired multiple volleys into the air, drank numerous toasts to King George I and buried a sealed bottle with a note inside claiming the land for the king. Upon return, in a romantic gesture Spotswood sent small golden horseshoe-shaped pins to each member of the expedition and declared them Knights of the Golden Horseshoe. The chivalric, hospitable reputation associated with the expedition largely contributed to the image of the gallant Virginia Cavalier. Today, visitors can enjoy the same incredible vista encountered by the Knights at Swift Run Gap by hiking a portion of the Appalachian Trail. You’ll feel the same sense of adventure and awe that Alexander Spotswood and his Knights of the Golden Horseshoe experienced by taking the 5.6-mile round-trip hike from Swift Run Gap to Hightop Mountain. The hike, starting uphill on the southern end of the Skyline Drive bridge where it crosses Virginia Highway 33 near the Swift Run Gap Entrance Station, gains 1,480 feet of elevation for stunning views to the south and the west. A few dozen yards south of the trailhead, you will encounter a plaque and a large stone pyramid commemorating the spot where Spotswood and his knights first crested the Blue Ridge. One of the most photographed sites along the Blue Ridge Parkway, with its picturesque waterwheel and flue, the historic Mabry Mill near Meadows of Dan was built in 1905 by Ed and Lizy Mabry. Nearby farmers brought their corn to be ground into cornmeal. Embodying the resourceful, enterprising and self-sufficient nature of Appalachian settlers, the Mabrys soon added a sawmill to produce lumber and a blacksmith and wheelwright shop to serve area farmers. 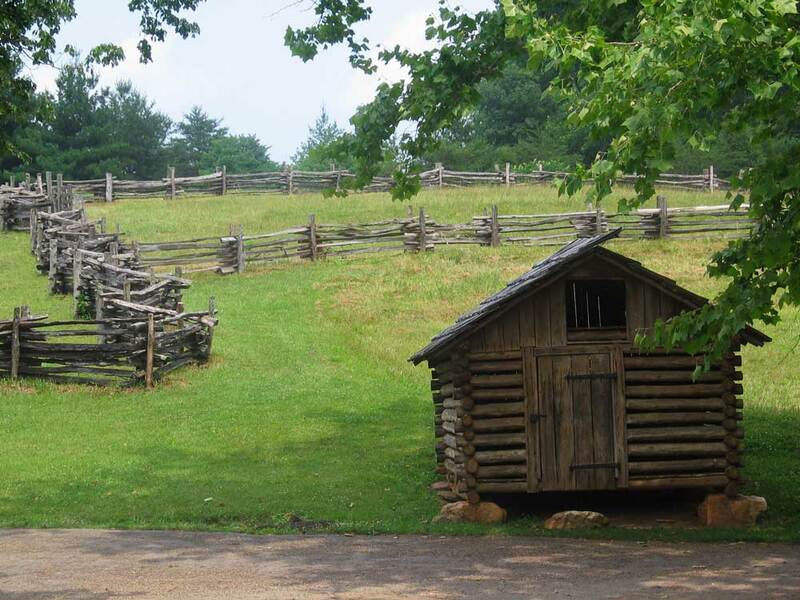 When the National Park Service bought Mabry Mill in 1939, it carefully restored these structures and relocated the Matthews Cabin, reminiscent of the farmhouse hand built by the Mabrys, to the site. 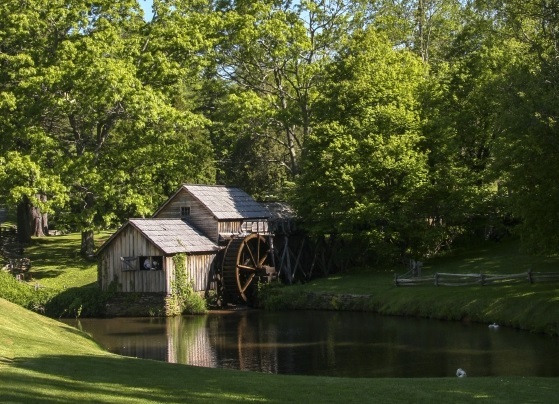 Today, in addition to sampling authentic Appalachian fare at Mabry Mill Restaurant, visitors can explore the grist mill, blacksmith shop, sawmill and woodworking shop. Taking time to explore the complex will provide an appreciation for how these, along with other traditional mountain crafts such as basket weaving and spinning, greatly influenced America’s development as the country expanded westward. Today it’s hard to fathom that a tobacco plantation in Southwest Virginia played a vital role in the early advancement of civil rights in America, but the farm, now known as The Booker T. Washington National Monument, did just that. Among the last generation of African Americans born into slavery, Booker T. Washington began his life most likely in 1856 as the son of an enslaved woman named Jane and an unknown white man from a neighboring plantation, according to his remarkable autobiography, “Up from Slavery”. At age nine, Washington gained his freedom through the Emancipation Proclamation and was taken by Jane to West Virginia to reunite with her husband, Washington Ferguson, who had escaped slavery. There the illiterate Washington taught himself to read. Ferguson secured Washington jobs in the salt mines and furnaces of West Virginia to earn tuition money. The work was backbreaking yet liberating, providing him the resolve to “lift my people up.” He moved back east to Virginia to attend Hampton Institute (now Hampton University, in itself a moving walking tour for contemplating the first foray into higher education for newly freed African Americans). Washington proved to be an exceptional student, arguably the brightest mind the college has ever produced. Washington’s remarkable career included establishing the Tuskegee Institute in Alabama, championing black economic success independent from white paternalism and becoming a highly sought public speaker who invigorated integrated audiences. One of his last public addresses was at the place of his birth with the audience comprised of descendants of former slaves and members of the Burroughs family that once owned him. He demonstrated a profound understanding of how the place had shaped him, but also of a future in which opportunity would be afforded to every person regardless of race. Washington would not live to see this vision come to fruition, but when visitors take the self-guided walking tour of the 239-acre Booker T. Washington National Monument and experience the tobacco plantation where Washington spent his early formative years, it inspires awe that from such humble beginnings he was able to accomplish so much in service to the advancement of freedom for all Americans. 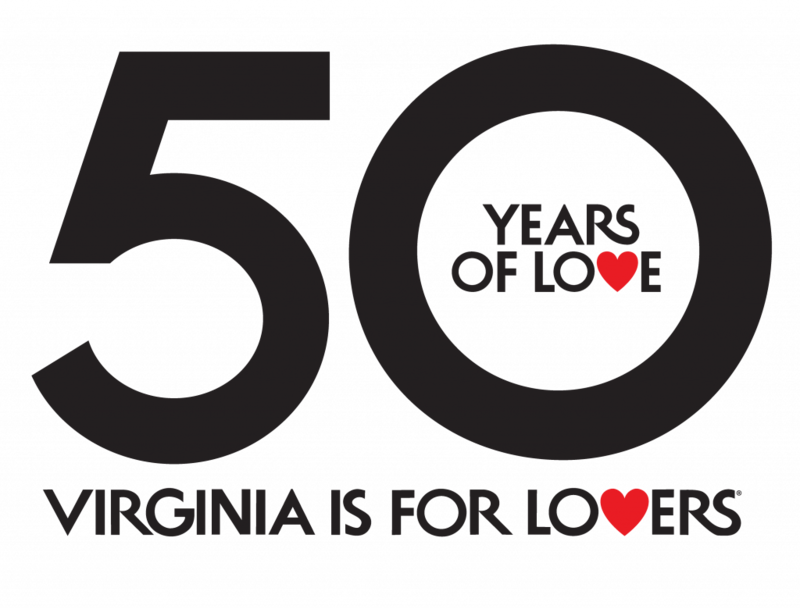 From its vital role as the Birthplace of American Democracy in Jamestown, to its colonial heyday in Williamsburg, to its western expansion over the Blue Ridge, to the expansion of freedom to all Americans, Virginia has played a leading role in the country’s development. So ditch the car, slow down the pace and immerse yourself in Virginia history.